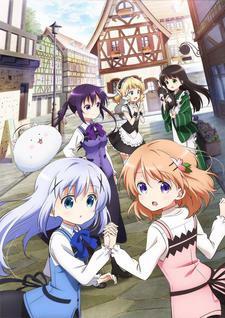 The second season of Gochuumon wa Usagi Desu ka?? Kokoa is still living and working at cafe Rabbit House. This anime follows her and the friends she has made throughout their time working in the cafe. Episode 2 - The Girl Who Loved Wheat and the Girl Loved by Azuki Beans. Episode 3 - Do You Remember the Day You First Got Drunk? You Tried to Light a Campfire in Your Own Home, Didn't You? Episode 4 - Your Lucky Items Are Vegetables, Crime, and Punishment.